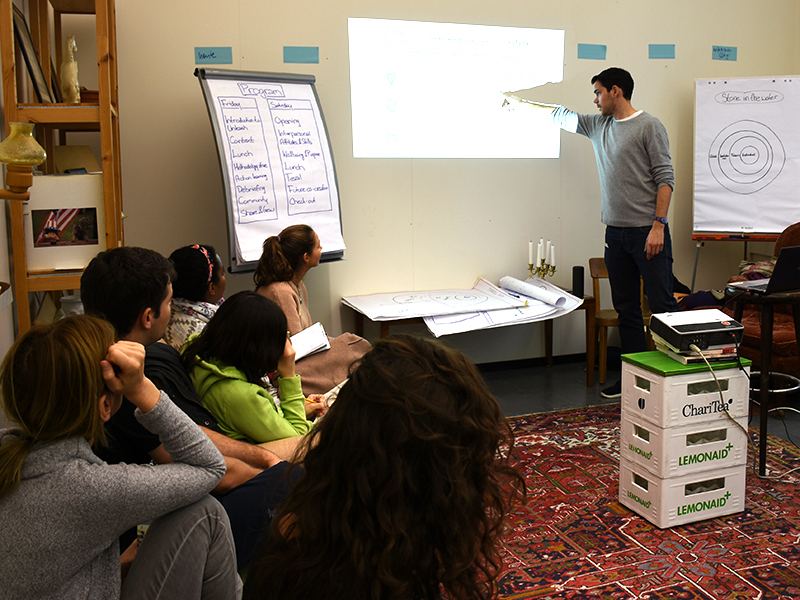 Last week we had not only one but even two Radical Collaboration trainings! 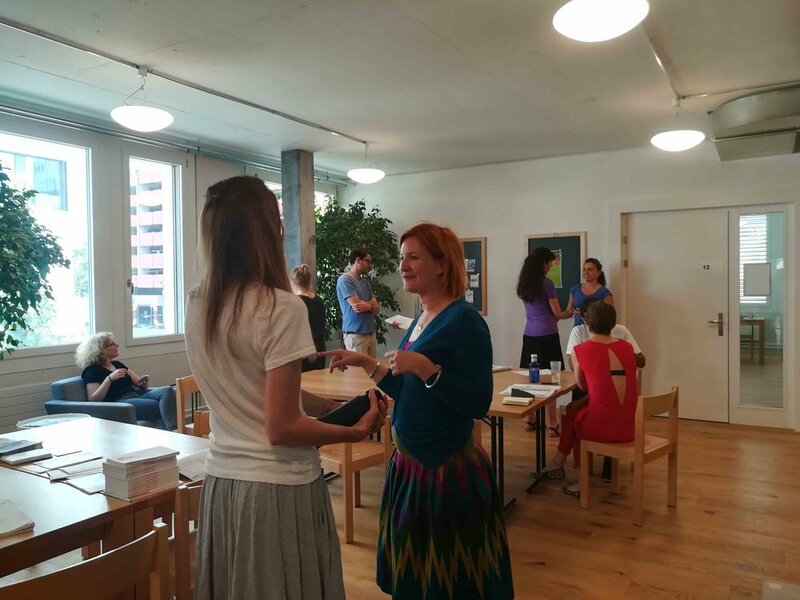 One took place in English in Zürich and was co-hosted by our partner Collaboratio Helvetica. The other training took place in the French part of Switzerland in Lugnorre. We addressed the importance of high trust relationships, strategies to communicate and negotiate better, and how to resolve conflict. The underlying point is not to simply look at how we can get out of a conflict but to understand how we got there in the first place, and to understand our own reactions towards it and how to manage it well. The training were three super intense days filled with (self-) reflection, new tools, but of course tons of fun and laughter. For those of you who do not know what Radical Collaboration is, it is a methodology for building high-trust relationships at work in order to improve efficiency, productivity, innovation, and agility. Today nobody succeeds alone. You must have the skills to build relationships and to form alliances. This is true in everyday situations between individuals as well as between project teams, departments, companies, and organizations. Find out more about Radical Collaboration here. 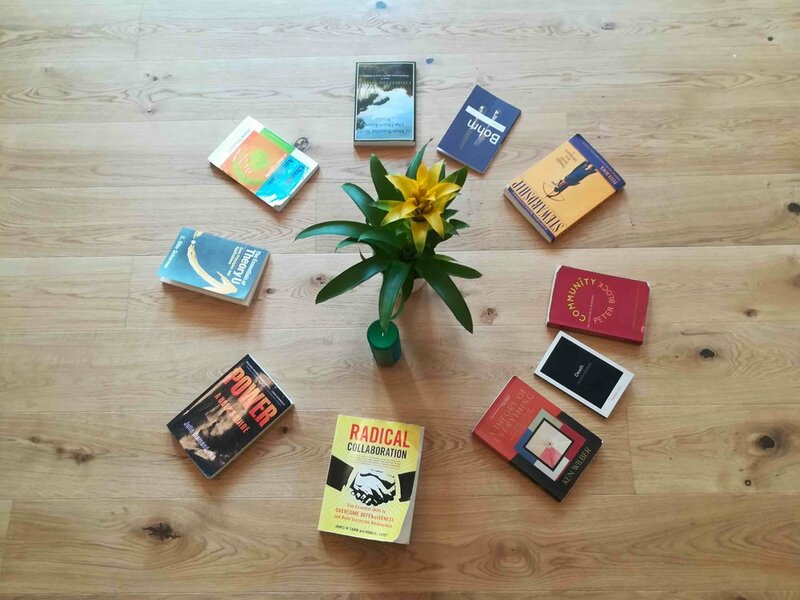 We are happy to have a bunch of freshly certified Radical Collaboration® trainers in our community and to offer the first trainings in and around Switzerland. 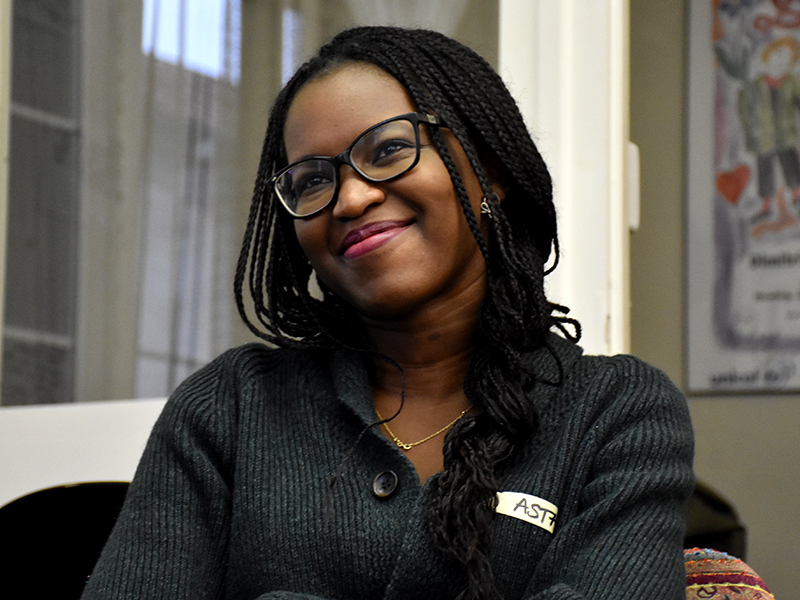 Together with our Chief Euphoric Officer Chantal, who became a trainer one year ago, we are now 19 trainers – the only ones in Switzerland! 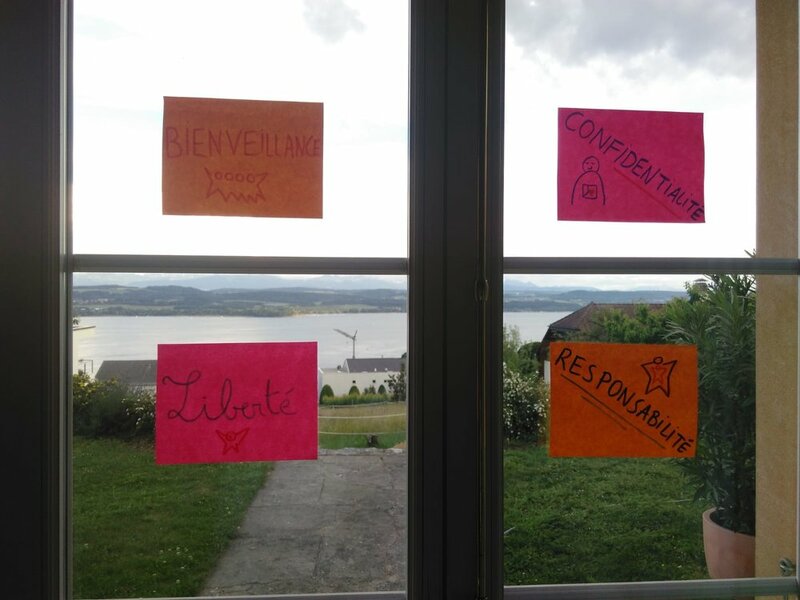 Jim Tamm, the creator of the Radical Collaboration® methodology, and the psychologist and Radical Collaboration® trainer Malou Laureys facilitated the seven-day Trainer Certification course for 18 euforians in Geneva. 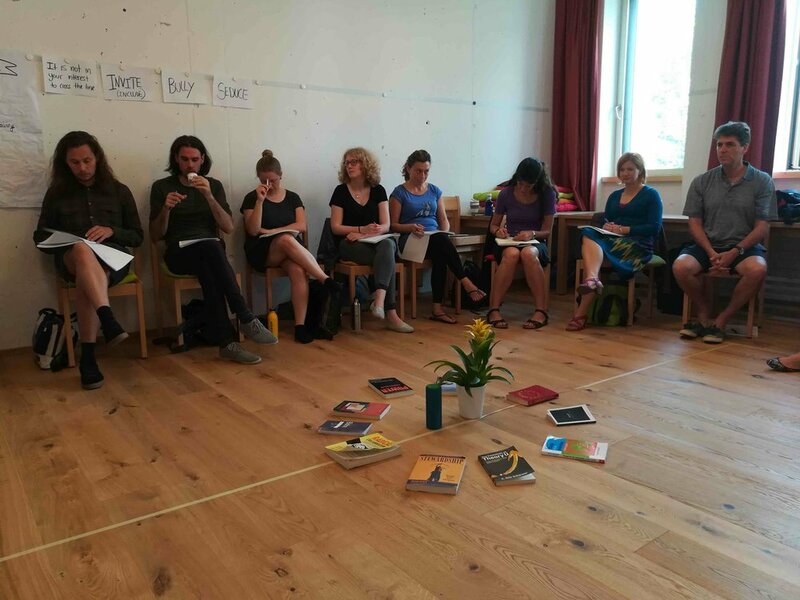 The course was a deep-dive into the topic with a lot of space for reflections and discussions. 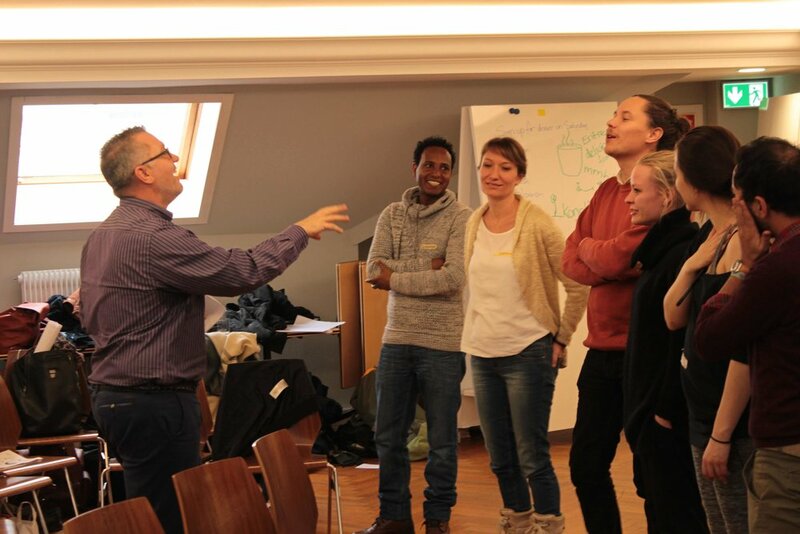 The two trainers gave a great example on how radically collaborating creates an atmosphere where people complement each other and can flexibly come up with new solutions. 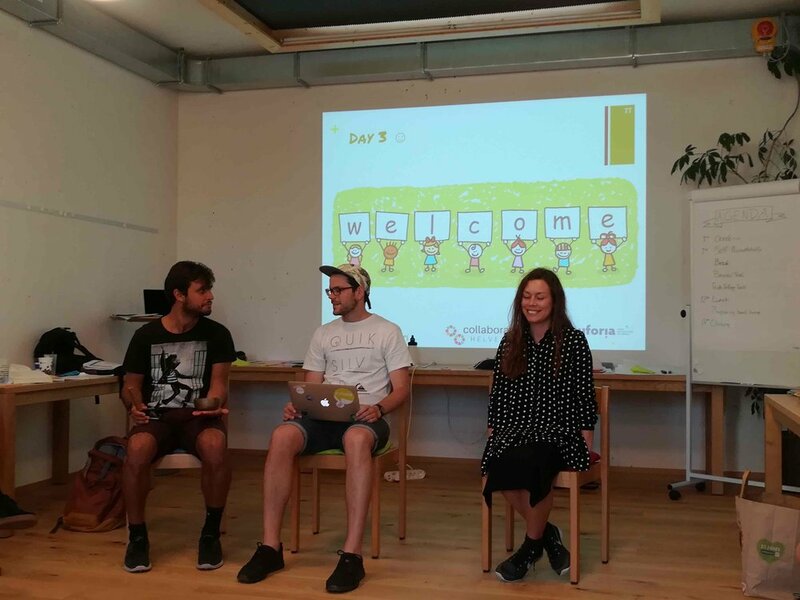 Jim and Malou were happy to have the chance to train Radical Collaboration® trainers in a new country and to open up opportunities for a new group of young participants. More trainings will come up in May and in Summer. You will find more information soon in our calendar. If you would like to book a training for your organization, get in touch with us! What contains the three-day Radical Collaboration® training? 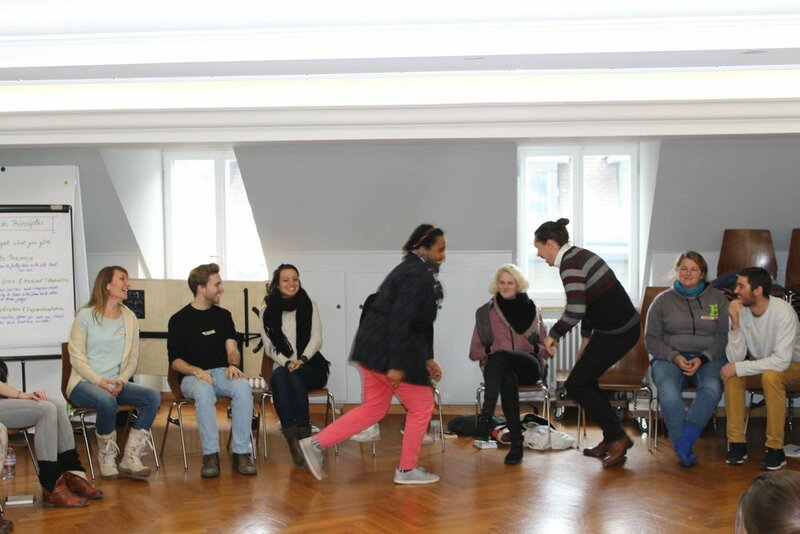 The three-day, highly interactive Radical Collaboration training is designed to teach people five very practical and immediately useful skills essential to building collaborative relationships between individuals and within teams and organizations. It is appropriate for anyone whose circumstances have the potential for disharmony, misunderstandings and conflict, and who would like to improve their effectiveness. It is also particularly helpful for individuals responsible for creating more collaborative environments within a team or organization. It provides participants with step by step tools how to initiate, lead and reach closure in negotiations and how to build successful long-term relationships. 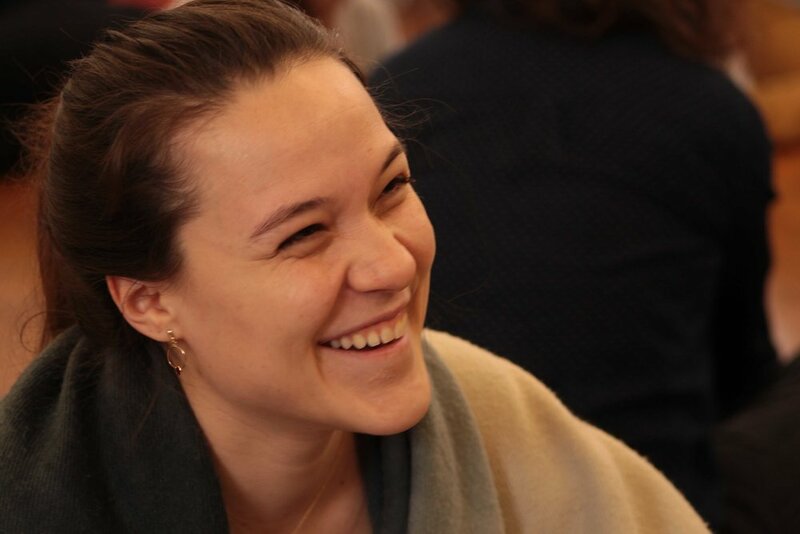 Katalin from unMonastery is engaged as part of the host team to organize the first workshop cycle of the unleash project. According to the dictionary, Cat’s Cradle is a collaborative game played with strings by two or more people. During the game complex patterns are formed. Each person needs to focus on the collective effort as they take over and complicate their partner’s configuration. Interestingly, 4 out of the five principles refer to feelings rather than intellectual capacity. It seems to be the case that to be able to work together better, a personal journey to deal with unresolved feelings, vague fears, inarticulated needs and hidden assumptions is necessary. I have to admit, I am not comfortable with the term, personal well-being, and the army of self-help books that teach tricks on how to solve problems within oneself. There seems to be a whole new level of consumerism directed to feelings, as if now that the world has become nearly uninhabitable both on a physical and an emotional level thanks to unsustainable practices of production and consumption, we are now offered the opportunity to spend yet more money and time on learning ways to be able to deal with this devastation. However, having worked with various groups in the last years, and seen beautiful projects go astray due to personal conflicts, lack of communication, and an inability to move beyond personal defensive attitudes instead of moving forward together, it seems inevitable that personally taking responsibility for one’s own inner universe is absolutely necessary in order to work together in new forms of organisations such as Teal or Open Organisation. 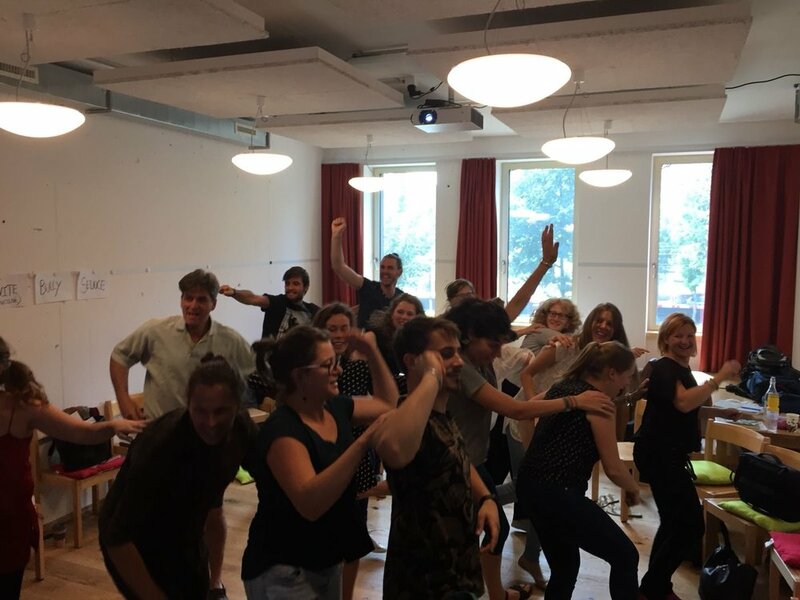 It is therefore not a coincidence that I found the first weekend of the Unleash program by euforia focused on personal wellbeing not only interesting but quite useful. We learned a wide range of different methods enabling us to engage with and accept our own fears, aspirations and vulnerability, and use these insightful strategies also to relate to each other. In times of increasing complexity and constant change, collaboration skills are no longer a nice to have. They have become a vital asset both for individuals and for organizations. Radical Collaboration teaches practical methods to significantly improve your skills for building collaborative relationships. These skills can be learned quickly and easily by any individual. Once individuals possess the necessary collaborative skills, we can create teams and organisations where collaboration thrives. This approach has been used by many large institutions across the world, invites you to understand yourself better, to check your assumptions about other people, and to transform your relationships by taking them from the Red Zone to the Green Zone. We sense there are more fulfilling ways of working at the personal, team, institutional and societal level. We want to explore together the attitudes, skills, knowledge needed to create new ways of working for the 21st century. This is why we developed the unleash project, an open source, transformative, cross-sectoral and experience-driven learning program that empowers people to thrive in the paradigm shift of work of the 21st century. Last weekend, we started with the first session of the unleash project. About 50 people from different sectors (NGOs, Social Businesses, Co-Working spaces, etc.) came together and explored the attitudes, skills and knowledge it takes to move from careers to vocation. The goal of this kick-off was to dive into the topic, the euforia methodology and to co-create the program that will follow in the first half of 2017. Thomas Vellacott, CEO of WWF and the changemaker and HR specialist Carine Leuthold gave valuable inputs to different questions: Why is a paradigm shift needed in organizations and the society? What trends are coming up in the working environment? What new capabilities do current and tomorrow’s leaders need? In a World Café we discussed possible answers and solutions. Moreover, we gained deeper understanding about the different paradigms of organizational thinking with the most current one emerging: Teal Organizations. We learned how to work effectively without hierarchical structure and to see organizations as living organisms where the wholeness of individuals at work and Self-Management are in the center. During these two days we experienced the different methodologies we use at euforia, mainly the Theory of Group Dynamics from Will Schutz (FIRO), the PEMS model which helps us to approach the needs of different kinds of personalities (Practical, Emotional, Mental, Spiritual) from Daniel Sa Nogueira, Radical Collaboration from Tamm and Luyet or the concept of Experiential Learning. 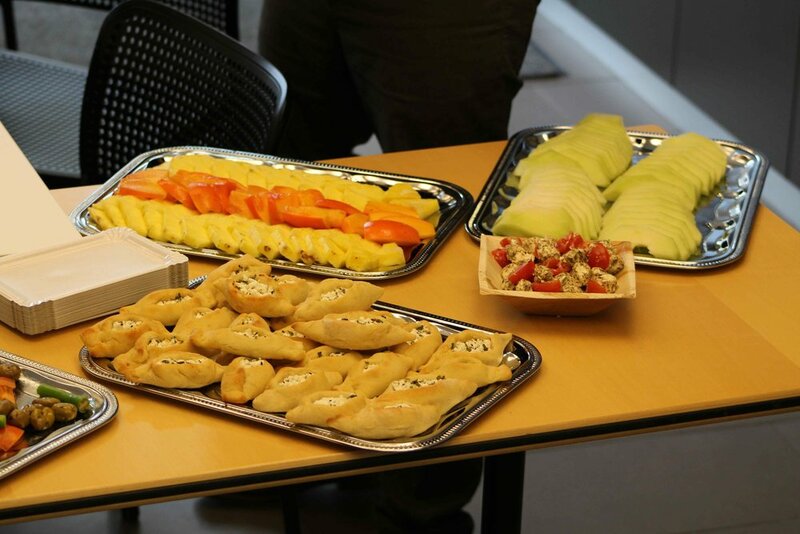 We experimented those and other concepts with facilitation, coaching and deep listening exercises. We also treated the importance of wellbeing and purpose. We are convinced that personal wellbeing and an intrinsic motivation are crucial to flourish at the workplace. This topic goes beyond a good work-life-balance: it’s about seeing ourselves as part of an ecosystem where not only our personal wellbeing matters, but also the interpersonal relations and values are central. 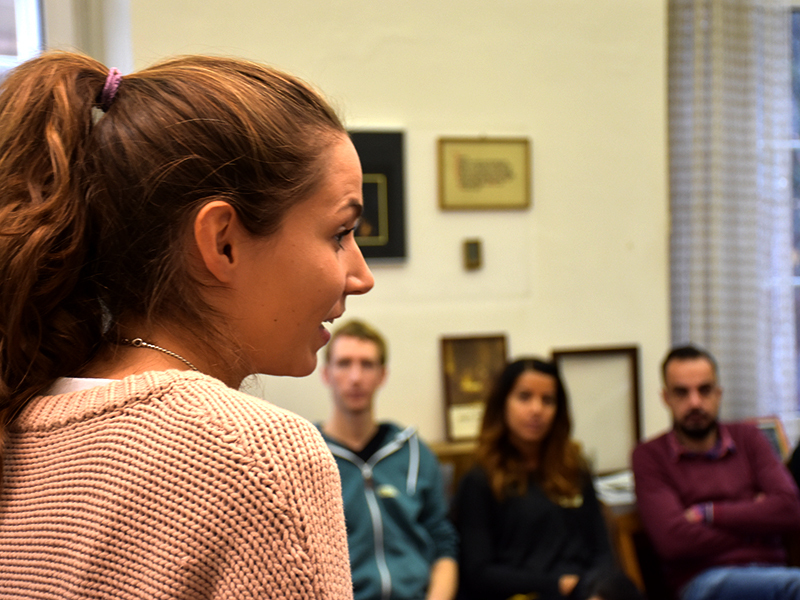 Greta Rossi from Akasha Innovation introduced us to the tool “The wheel of Life” with which we analyzed our personal wellbeing and dived deeper into the subject matter with a peer-to-peer coaching session. In the evening, Tariq Al Olaimy hold a Share & Grow Night about Biomimicry, an approach to innovation that seeks sustainable solutions to human challenges by emulating nature’s time-tested patterns and strategies. With all those insights in mind, we co-shaped the future of the unleash project. Find here the program of our weekends in January, February, March and May. We are extremely touched and grateful for these two days and want to thank everybody for collaborating, engaging and being fully present! We’re looking forward to having you all again in the January weekend and also welcoming new faces! Find all information about the coming sessions and the registration form here.